The Financial Secretary, Mr Paul Chan, today (April 11, US West Coast time) conducted the last day of his US visit itinerary in San Francisco. He met with representatives of innovation and technology (I&T) enterprises as well as a related organisation to explore how to spur Hong Kong’s economic development through further promoting I&T. 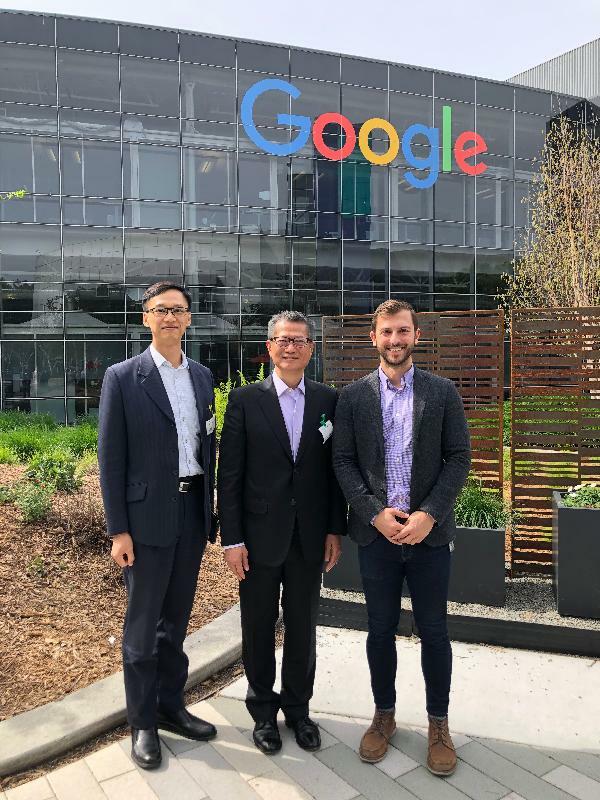 Starting the day, Mr Chan met with Google representatives and discussed the ways to promote artificial intelligence (AI), deep learning, smart city initiatives and their research and development (R&D). He shared the view that in addition to hardware, talents is the key to I&T development. Given the keen global competition for technology talents, he said that the Hong Kong SAR Government spares no effort in building a thriving I&T ecosystem, enriching the I&T talent pool and contributing to the development of an international I&T hub in the Guangdong-Hong Kong-Macao Greater Bay Area. 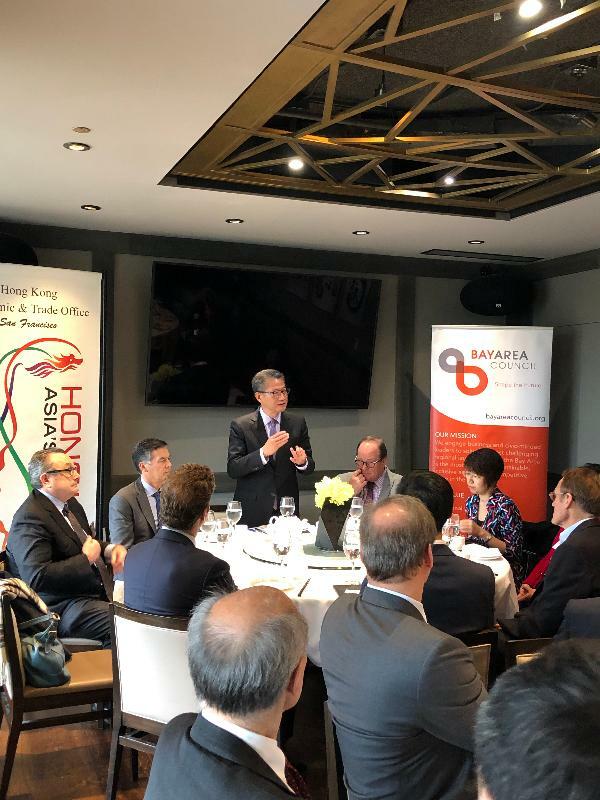 Mr Chan also had lunch with representatives of the Bay Area Council, an organisation dedicated to promoting San Francisco Bay Area development and maintaining its competitiveness. Mr Chan listened to their experiences, and underlined the vast opportunities in the development of the Guangdong-Hong Kong-Macao Greater Bay Area and Hong Kong’s key role in the development of an international I&T hub in the Greater Bay Area. He urged the organisation to set up a presence in Hong Kong to foster closer ties between the two bay areas. 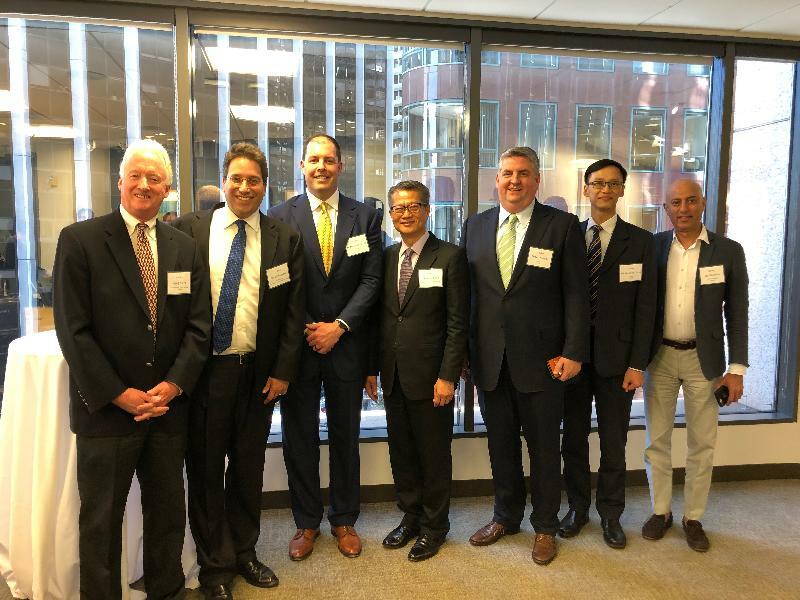 Mr Chan also gave a brief update on Hong Kong’s latest developments to the persons-in-charge of a global American law firm, which has over 1 000 lawyers and runs business in assisting enterprises to go for listing. 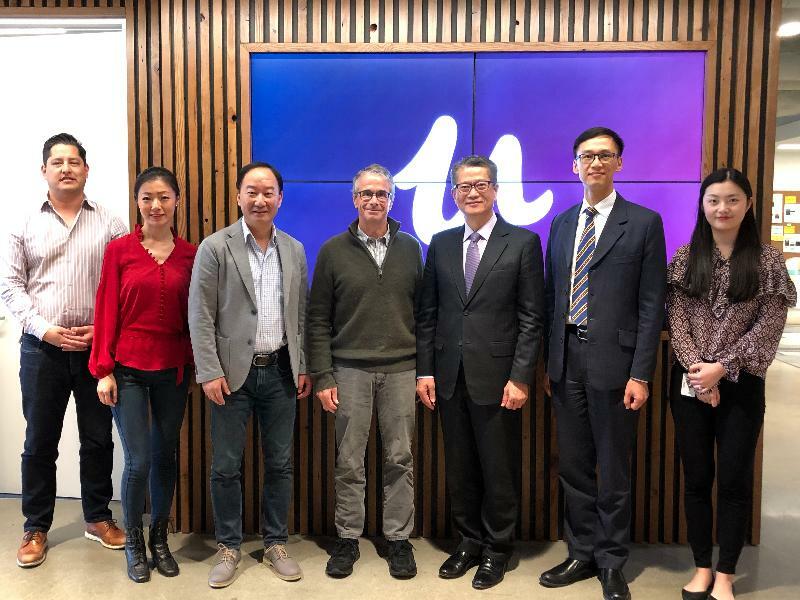 He gave an overview of Hong Kong’s advantage in being a preferred listing platform for emerging and innovative enterprises and said he was pleased to learn that the firm would launch an office in Hong Kong. 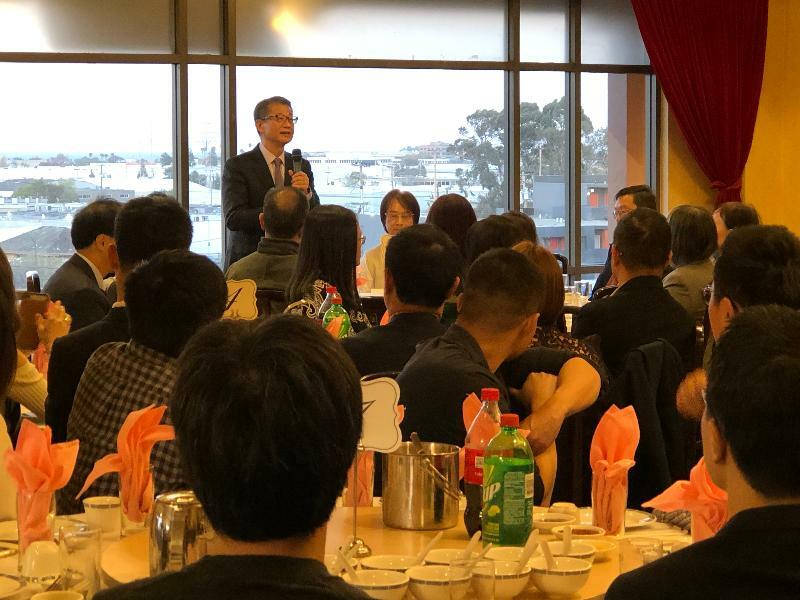 Before concluding his visit to the US, Mr Chan had dinner with over 100 Hong Kong people living in San Francisco to brief them on the latest developments of Hong Kong and learn about their everyday lives. Mr Chan will leave San Francisco early tomorrow morning (April 12, US West Coast time) and return to Hong Kong in the morning on April 13.